Hello, I am Craig, the owner of Elevate Chiropractic. I’m a chiropractor, father, part time artist and keen researcher on the human body. I’ve been a Chiropractor for 11 years now and have worked in various clinics in NZ and Australia. 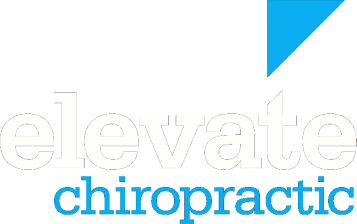 I started Elevate Chiropractic in 2013 after returning from working in Brisbane, Australia. I love helping people. Aside from Chiropractic care (which I think I have got quite good at), I like showing people how they can help themselves. Chiropractic care is a fantastic tool to allow the body and brain to function well, but there is also a lot of things you can do to help yourself. This is where my love of research on how the body works and moves comes in. I love to show people simple moves and exercises they can do to feel great and more importantly, stay great. I have worked with all sorts of people over the years, from newborns to the elderly and from desk workers to elite athletes. I love working with people who want to better themselves no matter what age they are (you are never too old to make a change). If you are in pain, just don’t feel quite right or are looking for advice on how to move, function and feel great, then I would love to help you. Click here to see my blog. There are tons of great articles about health and wellness, chiropractic care and hints and tips on feeling great. You can find out more about what to expect from your first visit here or feel free to call the office on 09 413 5312 to make an appointment. Your body will thank you for it. If you would like to find out more about Elevate Chiropractic and the specific techniques they use, or simply to ask a question, contact Craig here or please call into the clinic. The team at Elevate are always happy to help. QUOTE: "Health is like money. We never have a true idea of its value until we lose it."